A culture is made up of Beliefs, Attitudes and Practices – which are then displayed in Behaviours. 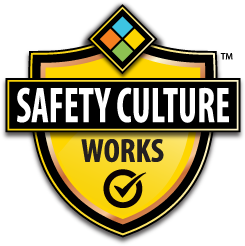 The core belief in Safety Culture is that everyone wants to go to work, do their job well and get home safe. Be on the lookout for things that could harm you or someone else, and take the proper steps to ensure injuries won’t happen. Stay informed by knowing the laws and best practices for your workplace. Ignorance is no excuse. Our Beliefs, Attitudes and Practices shape our Safety Culture at home, at work and in the daily choices we make. The Internal Responsibility System requires that everyone in the workplace (employees and Employers) is responsible for their own safety, and that of others. Understand your basic safety rights. The Right to Know about hazards in the workplace, the Right to Participate in safety issues and the Right to Refuse unsafe work. Employers are legally required to inform workers of the potential hazards in the workplace that could cause harm to their health and safety. You have the Right to Refuse unsafe work until the safety matters are resolved to everyone's satisfaction. You cannot refuse to do your job if it would put the health or safety of another person directly in danger. However, you must also be trained and equipped to protect yourself. You have the responsibility to protect your own health and safety, and that of others. Cooperate with your Employer and other employees regarding safety. Ensure you use protective equipment. Injuries can last a lifetime, so you must be aware of the hazards in your workplace. Identifying and addressing workplace hazards is made up of two key aspects – Physical Safety and Mental Health. The effects of Mental Health hazards can be far-reaching, including depression, anxiety, substance abuse, stress, grief and many more. The most effective way to address a safety hazard is to eliminate it. However, other options include barriers, signs and Personal Protective Equipment. A strong and sustainable Safety Culture will lower injury and illness rates, lower costs and create great places to work. All Managers and Supervisors act on behalf of the Employer. They must uphold the requirements of Employers made under Health and Safety Laws. Employers must inform workers of the potential hazards in the workplace that could cause harm to their health and safety. Employers who do not fulfill their obligations under Health and Safety Laws are being criminally negligent and may be found liable should an incident occur. Health and Safety Laws require Employers to ensure all workers receive training, instruction and supervision adequate for the work they are tasked with. Employers have a legal responsibility to inspect and assess the workplace for hazards so they may be eliminated or mitigated.